Pyrmont is an inner-city suburb in Sydney, overflowing with mouthwatering cafes, restaurants, bars and entertainment. Originally a colonial port, Pyrmont has become a favoured destination for locals and visitors alike. The famous Pyrmont Bridge connects the Sydney CBD with the bustling precinct of Darling Harbour and provides magnificent views of the area. 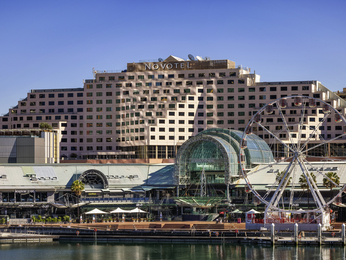 Sydney’s entertainment complex, Star Casino, is another major draw card to the area, providing an array of bars, restaurants, clubs, theatres and retail in the complex. Powerhouse Museum is also within the vicinity, with their calendar of events and exhibitions providing hours of entertainment for both young and old. Feel welcome at one of the hotels offered by AccorHotels and our partners in Pyrmont. Discover our selection of luxury to budget hotels in Pyrmont for your next business trip, family holiday or weekend break.